The book reader now has a new and improved design that brings more focus to the content. This new UI also brings more sharing options (such as Weibo and Instapaper). Configuration for sidebar has links changed (to be more flexible), see docs for more info. Starting with version 1.0.0, our goal is to bring more and more support of the Kramdown syntax. This version already brings support for footnotes and inline mathematics. 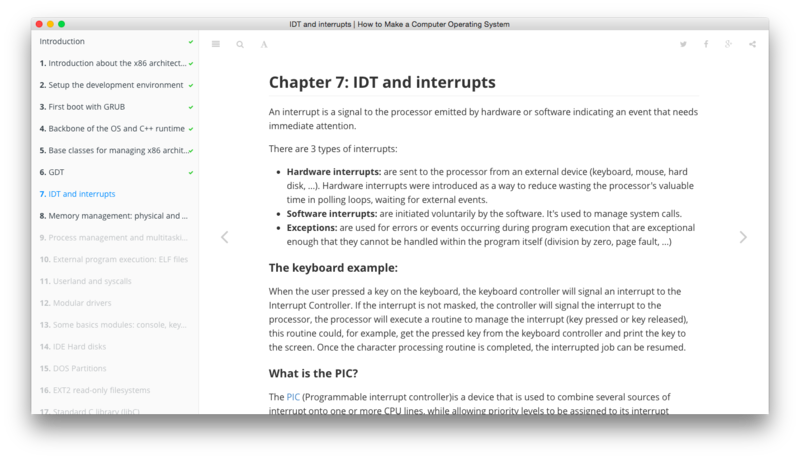 GitBook now supports glossaries; designed using gitbook’s two core philosophies, simplicity and automation, our glossary support automatically builds the index for each term and highlights them inline, to save any additional unnecessary work :). A better editor, the desktop editor will get a lot of love over the next few weeks. Improvements for PDF and ebooks are also in the pipeline. All books hosted on gitbook.io will progressively be updated to the new 1.0.0 as we roll it out over the next few days. So stay tuned !